Fireside Lodge’s Barnwood Poker Table matches with their entire line of barnwood furniture pieces that are made for warm, cozy home bar rooms, game rooms and entertainment spaces. 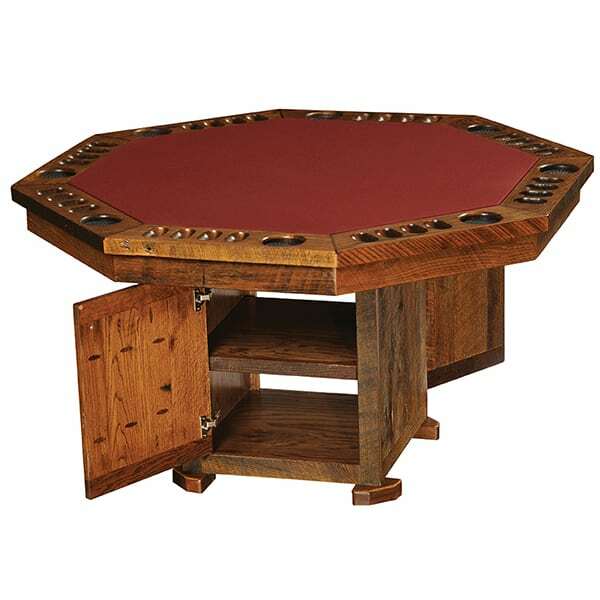 The Barnwood Poker Table is built with authentic reclaimed red oak planks that are repurposed from tobacco farms from the 1800’s that are now shutting down. The red oak is left to shine with its natural beauty, covered by a clear-coat catalyzed lacquer finish to enhance the table’s durability. The table is handcrafted and the original circular saw marks from the 1800’s saws are embedded in the tops to reveal that true, timeless character of the real wood game table. 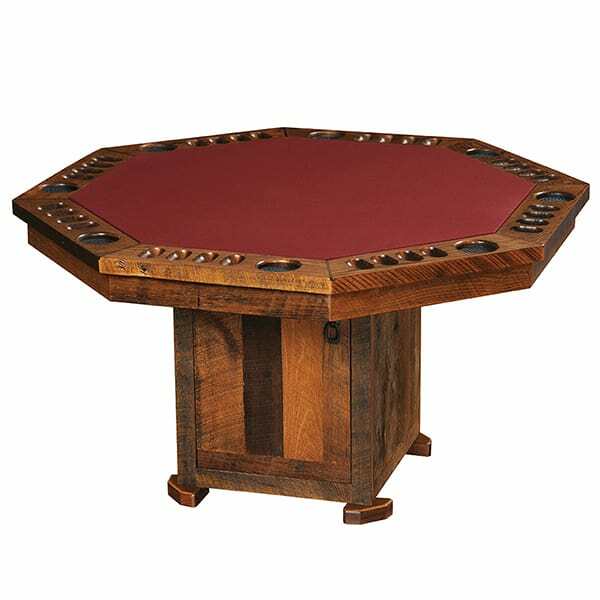 The poker table features scooped poker chip and drink holders and a premium felt top. Grab seven of your closest friends and settle in for a night of poker. Crackling fire is recommended, but not required.